Artkim Fuarcılık General Director Cengiz YAMAN indicates that they are getting prepared to offer a more efficient customer experience to their visitors and exhibitors at TURKCHEM 2018 with its new concept which is the most extensive chemical platform in Turkey and EMEA. This year we will host over 300 exhibitors from 20 countries and more than 1,000 company and company representatives and over 12,000 professional visitors from 70 countries for three days under the same roof. While presenting export opportunities to our exhibitors, we will be organizing events within the exhibition in which the latest innovations and problems in the chemical industry will be discussed. Adil Pelister, President of the Istanbul Chemicals and Exporters Association (İKMİB), said “ The world's total foreign trade volume is around 16 trillion, while the chemical sector is worth 4 trillion dollars which is 25% of global trade volume. Chemical industry that has 16.1 billion dollars share in Turkey’s exports, is in the third position while having a share of 10% in total trade volume of 160 billion dollars”. Pelister underlines that the chemical industry has the power to increase competition and efficiency by turning the crisis into an opportunity. "Export is on our agenda. We are supporting Turkey’s & EMEA’s most comprehensive International Chemical Industry Exhibition TURKCHEM Eurasia that will be held on 8-10 November 2018 and we will take part with a broad participation, as IKMIB”. “The exhibition will be hosting professional buyers and participants from Middle East & North African countries, Turkic Republics, Russia, Ukraine and many other countries. Besides we will be organizing a hosted buyer program during the exhibition under the coordination of Turkish Ministry of Economy. We will evaluate this opportunity in the best way to reach new and alternative markets”. TURKCHEM International Chemical Industry Exhibitions 2018 will entail 3 distinct exhibitions under one roof as ‘ChemShow Eurasia: 8th International Fine and Specialty Chemicals, Commodity Chemicals, Petrochemicals and Chemical Intermediates Exhibition’, ‘ChemLab Eurasia: 8th International Laboratory, Test-Measurement Equipments, Auxiliary Materials and Lab Consumables Exhibition’ and ChemTech Eurasia: : 8th International Chemical Process and Automation Industry, Packaging, Recycling, Logistics, Labor Safety and Environmental Technologies Exhibition’ on 8-10 November 2018 at Istanbul Expo Center. 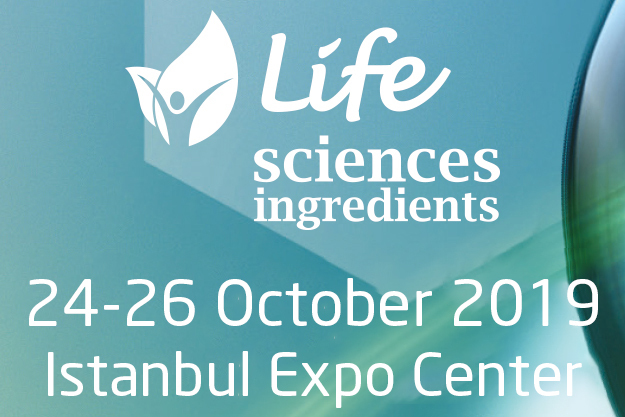 Concurrently with Turkchem 2018, exhibitor companies, NGO’s and academicians will make commercial and technical presentations for 3 days at 3 different conference areas and will introduce the latest scientific developments and industrial innovations to the audience at an international setting.